AirAsia shares declined sharply Monday as investors reacted to the disappearance of a passenger jet bound for Singapore with 162 people on board. Company shares trading in Malaysia closed down nearly 8%, recovering from an early decline of more than 12%. The search for the missing plane, which lost contact with air traffic controllers early Sunday morning, has resumed in the shallow waters of the Java Sea between the islands of Belitung and Borneo. Indonesia's top rescue official said authorities believe the missing jet is likely at the bottom of the sea. CEO Tony Fernandes addressed the crisis on Twitter, saying the low-cost airline will do whatever it can to help. "This is my worse nightmare," Fernandes said. "My only thought(s) are with the (passengers) and my crew. We put our hope in the SAR operation and thank the Indonesia, Singapore and Malaysian governments," he wrote, referring to the search-and-rescue effort. Fernandes has been with the company since its earliest days. In 2001, the former music executive and several partners bought the unprofitable air travel business -- it owned just two planes -- for 1 Malaysian ringgit, or around U.S. $0.25. The airline is strongest in Southeast Asia, where it has built a huge network of routes between Malaysia, Thailand and Indonesia. AirAsia is frequently named the best low-cost airline by industry group Skytrax, an distinction it won again in 2014. The carrier's workhorse aircraft is the Airbus A320, a narrow-body model that is ideal for short and medium-range routes between Asia's regional airports. The missing plane is an Airbus A320-200, a variation that offers an extended flight range. The airline boasted a clean safety record until the disappearance of Flight 8501, which departed from the Indonesian city of Surabaya. 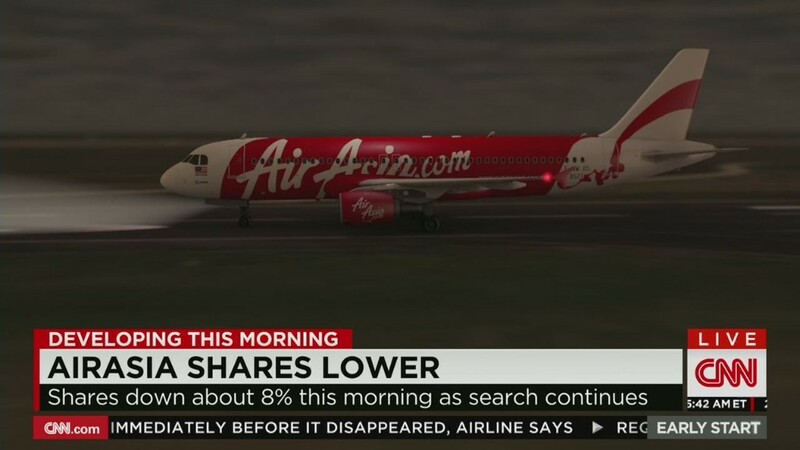 The missing aircraft was operated by AirAsia's affiliate in Indonesia.